Want to know your SBI ATM Debit card withdrawal limit per day? You can check your ATM card daily withdrawal limit online and also change limits. SBI offers many different Debit cards and all ATM cards come with different daily withdrawal limits. 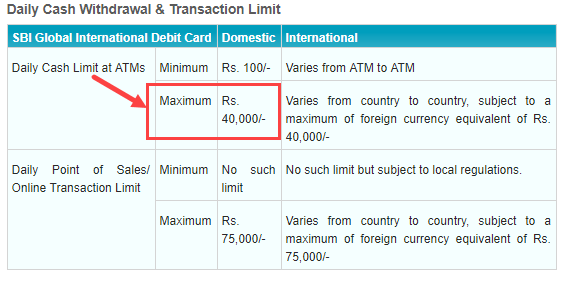 SBI Classic ATM card limit is 40,000 per day while platinum ATM Debit card offers 1 lac per day limit. If you don’t know your SBI ATM card limit then read this guide and know your card limit per day. 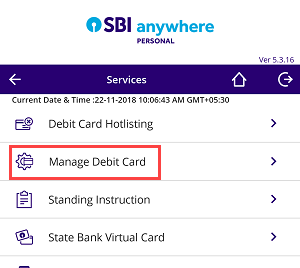 Step 1: Login to SBI Anywhere mobile banking and tap on Services. Step 2: Now tap on Manage Debit Card. Step 3: And now select your Account number and card number. 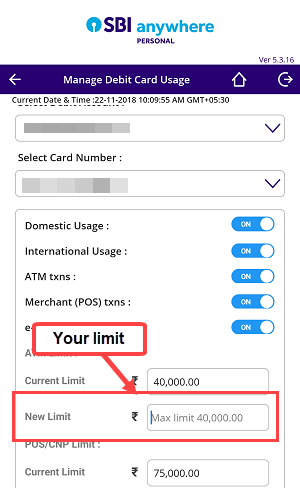 Now you can see “New limit” option where you can see your Card maximum daily withdrawal limit. You can not withdraw more money daily under this limit. 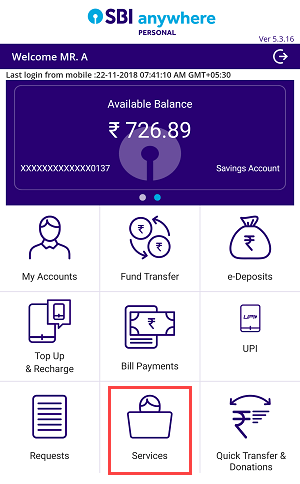 You can also visit SBI official website to check your ATM Debit card limit per day. In Debit cards, you can see many Debit cards list. Select and click on your Debit card. And now you can see daily cash limit in ATMs for your Debit card. You can change your ATM card limit anytime through mobile banking under the maximum limit for security. Hope you now understand, how to check SBI ATM Debit card withdrawal limit per day at ATMs.